The SWTX Reconciling Ministries Team and SWTX MFSA will participate in the 2012 Austin Pride Parade on Saturday, Sept 22 at 8pm! 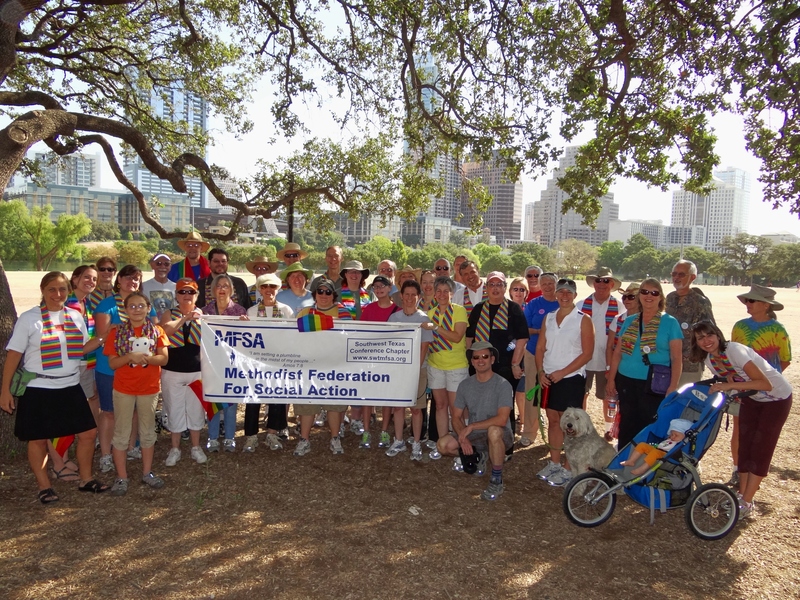 Walkers will walk in support of full inclusion of LGBT persons in the United Methodist Church and in society. This year, entries will line up at the State Capitol and proudly march down Congress Avenue and through the 4th Street Warehouse District. Limited free parking available at First UMC lot, and also at the surface lot next to the Texas Oil and Gas Association building, next to the FUMC Family Life Center, 13th and Lavaca. Carpooling is encouraged. For more information visit Austin Pride Parade: http://www.austinpride.org/#!events. The deadline for registering for the parade has passed, but a few spots remain. Contact Joy Butler joylbutler@gmail.com if you are interested in participating and you have not registered. .
Reconciling Ministries is looking for lay people who can spend a Friday afternoon and Saturday learning how to be a Reconciling coach for other churches. Travis Park UMC will host this event. Seating is limited to 40 and many spots are already reserved. To reserve your seat, contact Joy Butler: joylbutler@gmail.com.